Folks, this is crazy. Some parts of my garden I research to the nth degree. And I fuss over it. And schedule it, and plan it and go bonkers over it. I stake things and weed them and work in the hot summer heat on my hands and knees. 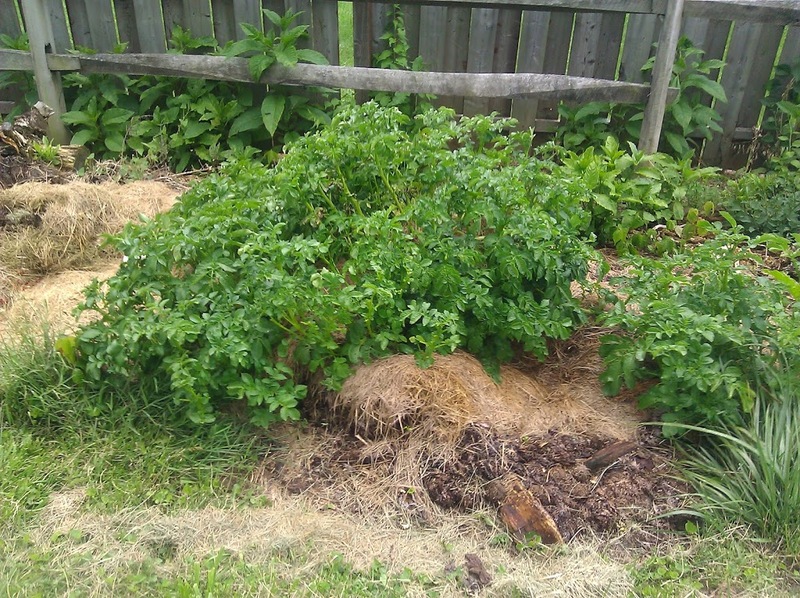 And then there’s my compost pile. After our trip to Alabama, we came home to discover part of a 10lb bag of potatoes had been left behind and it went a bit bad while we were gone. 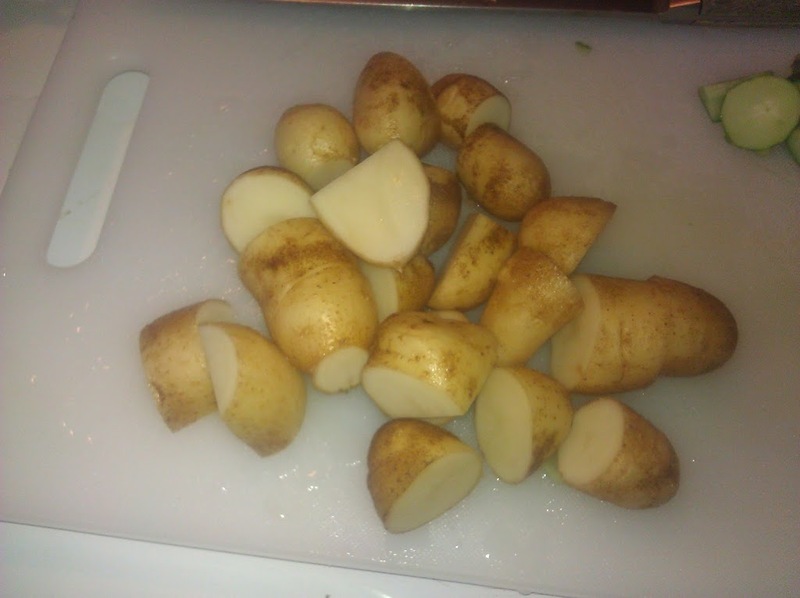 Not thinking about it, I just tossed the last of those potatoes into the compost pile, just like any other kitchen scrap. A few months later, plants appeared. And today I went out to check on the plants, and noticed the pile had crumbled away a bit after the last rain — the problem with planting in a compost pile is that it, well, moves. It slowly decomposes and shifts. 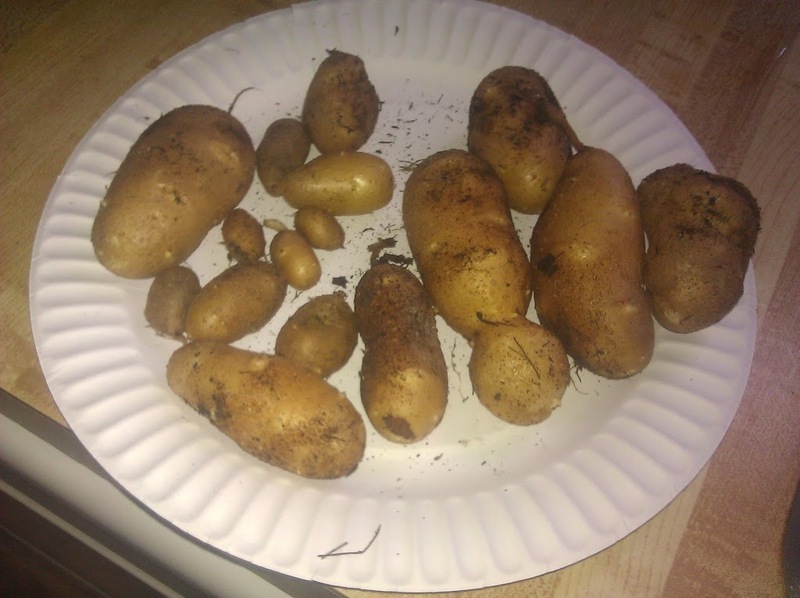 So some of the plants had exposed roots adn they sort of died a bit, and as I investigated, a handful of little potatoes popped out. 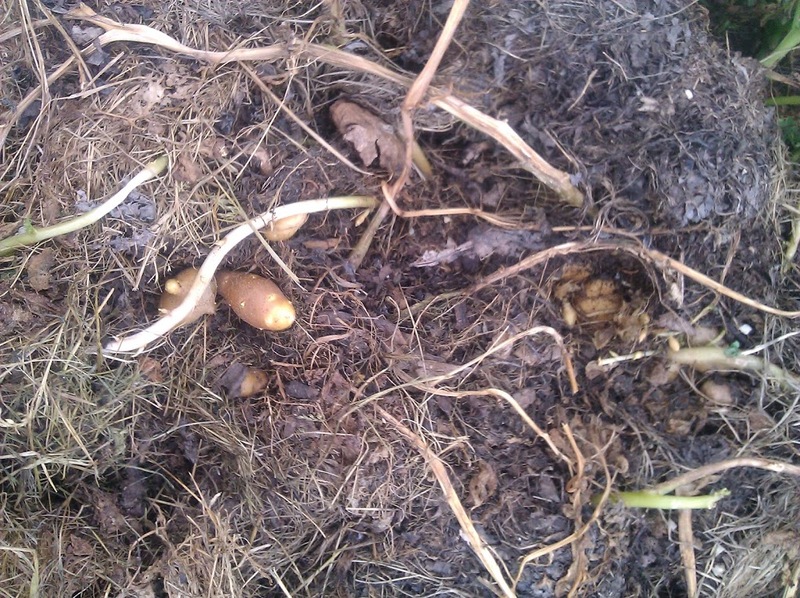 So I gathered them up and underneath, there were more! Until I’d gathered two handfuls. So I brought them inside, cleaned them up, and cut them into similar-sized pieces. 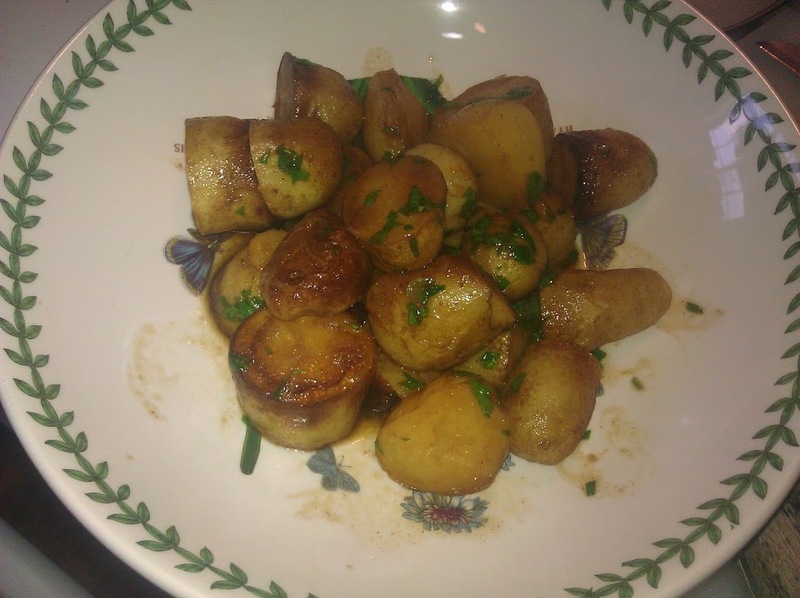 I sauteed my magic potatoes with some butter, paprika, lemon, and parsley from the window box. All for basically no work, and maybe $3 of potatoes. 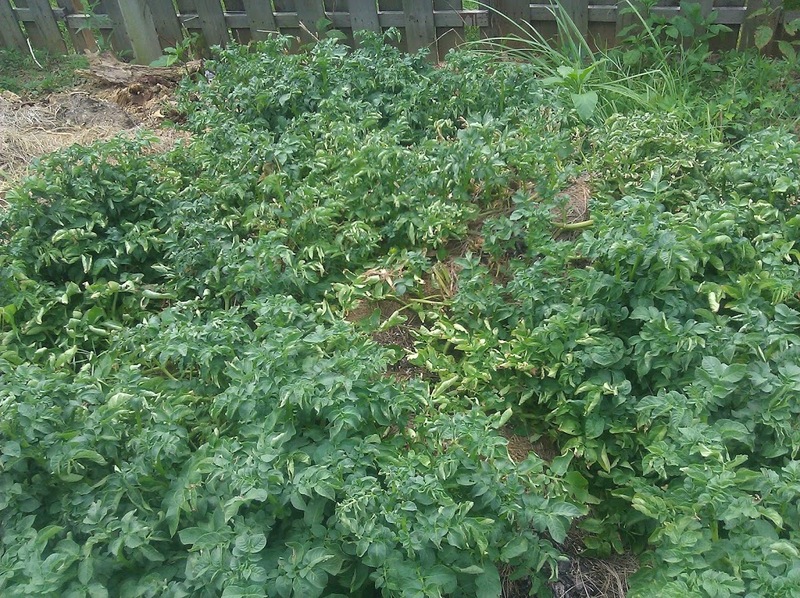 And this is only the beginning of the potatoes.